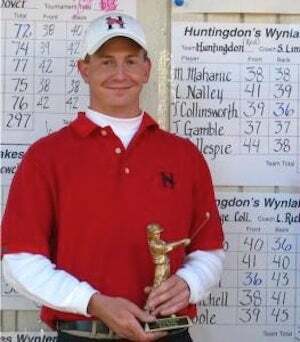 Matt Mahanic is no longer the golf coach of the D-III Huntingdon Hawks. Not a day after we posted audio of an f-bomb-filled rant, spurred by his players finishing 11th in a 12-team tournament last month, the Methodist-affiliated school in Montgomery, Ala., removed hm from the team website, naming an interim coach in his place. This afternoon, the university announced that he's been dismissed. MONTGOMERY, Ala.- Huntingdon College President J. Cameron West announced today that the College's director of golf, Matt Mahanic, has been dismissed, effective immediately. "As a member of Division III of the National Collegiate Athletic Association, we adhere to the principles expressed in the NCAA Bylaws," said West. "To quote the Bylaws, 'Individuals employed by or associated with a member institution to administer, conduct, or coach intercollegiate athletics shall act with ... sportsmanship at all times so that intercollegiate athletics as a whole, their institutions and they, as individuals, represent the honor and dignity of fair play and the generally recognized high standards associated with wholesome competitive sports.'" Huntingdon College, grounded in the Judeo-Christian tradition of the United Methodist Church, is committed to nurturing growth in faith, wisdom, and service and to graduating individuals prepared to succeed in a rapidly changing world.